There are currently 1 user and 127 guests online. 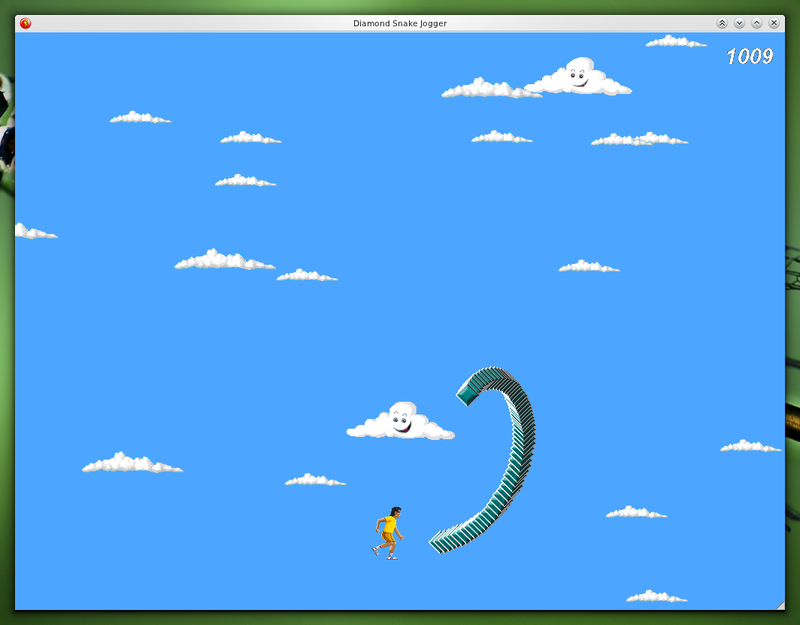 Somewhat based off of a very popular game from the old V-Cade where you jumped around a randomly-moving snake-like ribbon while trying not to fall off. Left and Right Arrow Keys to move. Shift to jump (you'll probably want to hold the key, actually). Don't fall off the snake. Don't let the snake eat you (it does this if the head collides with you from the side or from above). You can adjust the snake's movement to make it faster, slower, or more random. You can also make the snake's tail longer if you want. 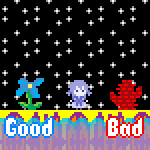 The game features a random seed, so you can keep playing the same pattern over and over until you better yourself. Score Attack just gives you points for however long you stay alive. Timed Survival is about staying alive for the specified time period. If you're still around when the time is up, you win! Collect the Food is about eating all the hamburgers. Eat a hamburger, and you win one point. The snake can eat them too, but this won't earn you any points! Once all the burgers are eaten, you move on to the next round which has one more hamburger in it. Update: Fixed an issue with past/high score not being remembered on custom games. Also provided more sane default values. Redownload if you've already downloaded. Haha where is the scream sample from? My guess is EffBee himself, looking forward to seeing whether I'm wrong or right! No, it's from an old Mario fangame called Yoshi, Dead and Loving It. Besides, my mic doesn't have _that_ much background noise.